I know, I've been writing a lot lately about virtual events (both pros and cons). The topic seems timely and has captivated certainly the training world as well as the event world--so it makes sense that I keep coming across it on a day-to-day basis. 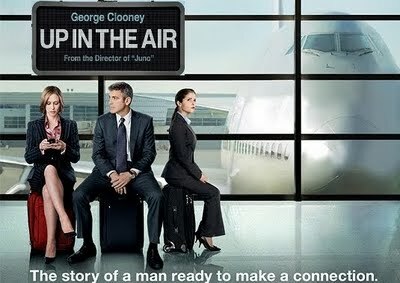 This weekend, I watched the recent blockbuster "Up in the Air", and I couldn't help but revisit the topic. BUT this company fires people--that's their product. George Clooney's character argues that this simply can't be done any way but face to face. By the end of the movie, the company has transitioned back to sending people on the road for in-person meetings instead of continuing to use the virtual solution. Interesting to note here that this seems like a prime example of where virtual meetings would be most useful. All the numbers add up, the technology is there, etc. But at the heart of the movie we find that there are just some messages that have to be delivered face to face. People were insulted that they were told such life-changing news as a layoff, and there wasn't even the courtesy of having a person in the room with them. They were stuck staring at a video screen. How cold. Companies utilizing virtual technology are, in some instances, doing so in reaction to economic hardship of some sorts. It's a cost-saving measure like anything else. But when they're not meeting in person, and are delivering OTHER economically sensitive news, what message is that sending to employees? That they don't care enough to look them in the eye and tell them that the annual yearly report isn't looking so great? Don't get me wrong, I don't mean to be harsh. I understand perfectly the constraints of budget. However, one cannot ignore the human factor in the virtual world. And that, so far, is missing to me. The buzz in the event industry is, of course, that companies are either supplementing in-person events with some virtual meetings, or are replacing in-person events all together. At the very least, a lot of companies are exploring the virtual space and seeing how they can use it to cut costs or just to stay on the cutting edge of technology. The event was incredibly educational and opened our minds to a lot of possibilities within virtual events; virtual interactions and networking, streaming media on-demand, even virtual spaces that were set up to look like "real" life. Then, as we wandered from vendor spaces to streaming cafes to educational presentations, our senses were overwhelmed. There was...a scent. A delicious scent... Our mouths watered... 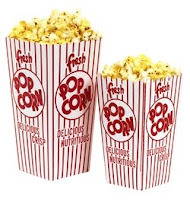 Wait, it was.... Freshly-popped popcorn! We quickly sought out the source of enticement. One of the workshop providers had rented a popcorn machine and was handing out free snacks. As we took our tantalizing bags of buttery goodness, we wandered around their space, looking at their information and sitting down to watch their pitch. It was a great way to enhance our experience and draw us into their show. 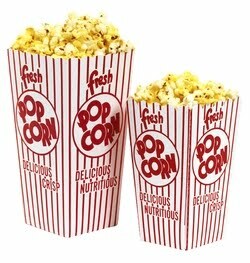 But what is the virtual equivalent of popcorn? The fact that it was a scent and food wasn't important. The point is this: a lot of elements go into an event. Some of these can be replicated in the virtual space, certainly; the PowerPoints/handouts, the speeches, even a bit of the networking. Some of them are irreplaceable. Would you rather submit questions through a chat forum, or have the opportunity to network with your CEO/VP/Etc. firsthand? Would you rather video-conference about a new product, or get the chance to see it and touch it? Is a picture worth a thousand handshakes? While we dive headlong into the world of virtual events, it's important to remember how valuable face-to-face contact and face-to-face events really can be. While the virtual world may save a bit (or a lot) of money, there's still a need for in-person events.